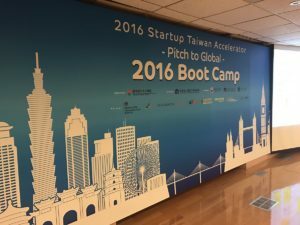 At the end of October 2016 Ian Merricks and Katie Lewis were invited to attend III’s “Pitch to Global” event in Taipei. As part of the visit The Accelerator Network delivered a two day Boot Camp working with 20 companies helping them to understand the investment landscape in the UK, and how to best prepare their business with a strong investment case for the UK market. The companies all had the opportunity for 1:1 sessions with our experts and pitched their business to receive further feedback. 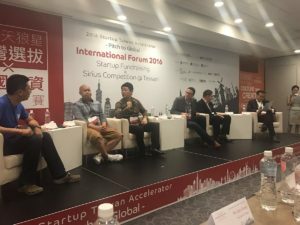 The third day was the Pitch to Global conference attended by an international audience with The Accelerator Network representing the UK, Taiwan Globalization Network from the Netherlands and KKFund from Singapore. Representatives from Department of International Trade from the UK, government officials from Taiwan, local business leaders, investors and startups all joined for a very informative day. 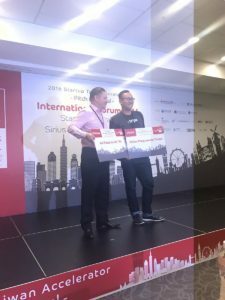 The conference finished with a pitching competition and the winners, Bezalel and Addweup, won a return trip to London to visit potential customers, investors, partners.